According to the American Cancer Society, lung cancer is the leading cause of cancer related deaths. The relative survival rate for lung cancer is low — 17% for men and 24% for women. These sad statistics are a result of the large proportion of cases diagnosed at an advanced-stage of the disease. If lung cancer could be diagnosed at early stages, the number of recovered patients would increase. Scientists are trying to improve methods of cancer diagnostics, including the use of computer tomography (CT). However improving diagnostic approaches doesn’t guarantee easy cancer detection. To identify tumor cells, people need to process medical images correctly and reveal signs of the disease. The manual character of this work leads to complexities when radiation therapists have to process hundreds of tomograms. Artificial intelligence will likely recognize more than radiologists do today. Thus it will help to provide better patient care. In 2017 a popular media resource for radiologists and related professionals AuntMinnie.com published a review about implementing AI in radiology. As explained by professional doctors — Dr. Bradley Erickson from the Mayo Clinic and Dr. Eliot Siegel from the University of Maryland, AI technologies cannot replace radiation therapists; but they can optimize workflows. For example, machine learning methods help effectively analyze medical images. 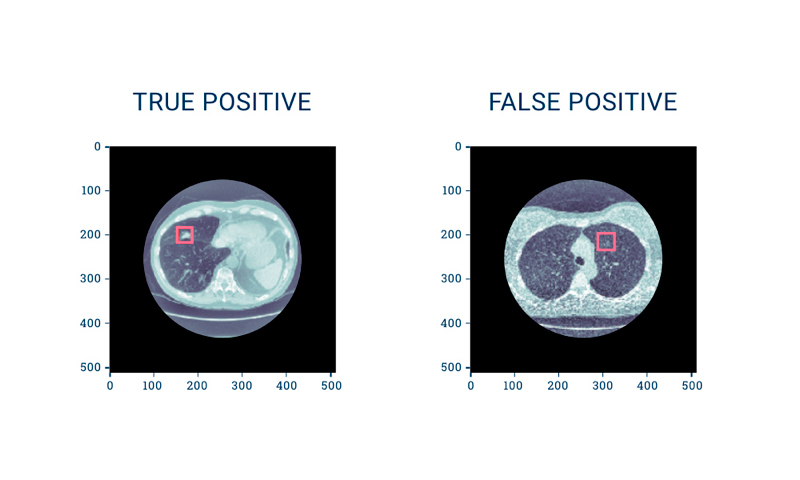 In particular, computer vision algorithms can find tumors in X-ray pictures, tomograms, MRI and PET images. We’ve developed software solutions for medical institutions and organizations since 2012 and understand how important is to apply machine learning technologies for practical tasks. Working for one of our recent projects, we turn to the problem of early diagnosis of lung cancer and developed an algorithm to analyze medical images for detecting cancer signs. Medical institutions, private and state healthcare facilities, centers for medical research, hospitals, medical researchers and radiologists. A medical image processing algorithm based on artificial neural networks detect abnormal areas in lungs. These areas are called nodules and can represent cancer. The trained neural network finds solitary pulmonary nodules that are cancer-suspicious cells. 1. 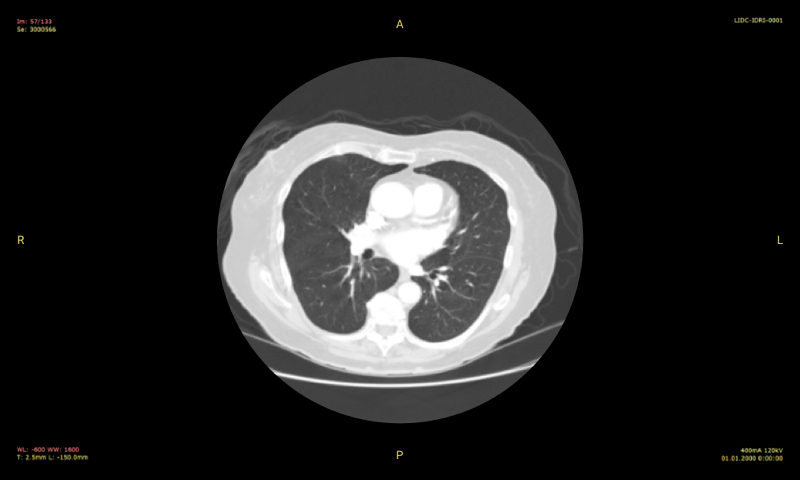 We separated all CT images into two groups: suspicious and normal. Then the neural network U-Net was trained to find signs of cancer on the suspicious areas. The network performed very well when detecting the nodules. However, it demonstrated false positives sometimes — there were areas mistakenly labeled as cancer alongside abnormal areas that were detected correctly. 2. 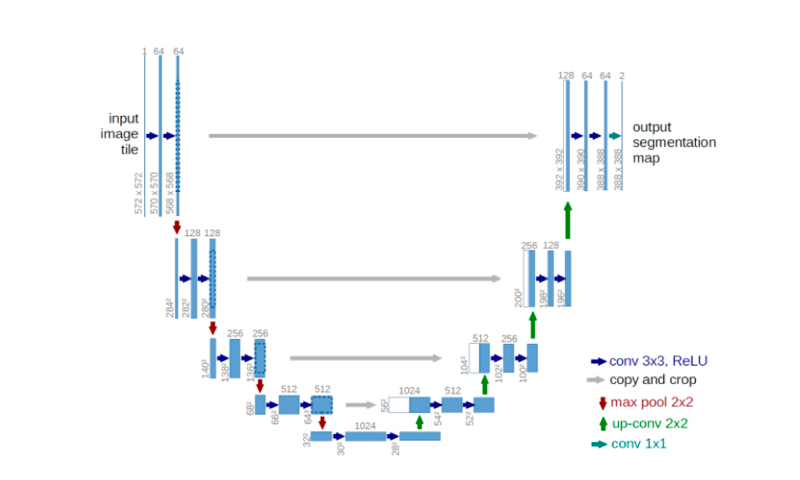 To improve the performance of the U-Net neural network we decided to reduce the number of false positives using a 3D convolutional neural network (CNN). The 3D CNN was trained to classify suspicious areas found at the first stage and divide them into true and false. As a result, we increased the detection accuracy sufficiently up to 0.925. The final solution separates CT scans into two types: suspicious and normal. The neural network can easily detect abnormal areas on medical images due to the high capability of artificial neural networks to recognize 2D as well as 3D images. Additionally, the more images there are in the initial dataset, the higher the performance of the algorithm. The AI algorithm for medical image processing can not only detect cancer tumors. It also can be trained for detecting other signs of disease in medical images including hematomas, internal hemorrhages, and other human body anomalies. The high performance of neural networks let’s us hope that they can be widely used in medicine.